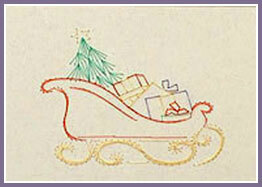 A Sleigh loaded with cheery Christmas parcels! 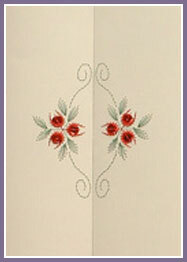 This is a simple “Door” Card design with Sequinned flowers. It folds in the centre (instructions for folding on the design) - place a trimmed piece of coloured paper on the inside so that you get a lovely flash of colour as you open it.